Portable displays for events. Indoor and outdoor. 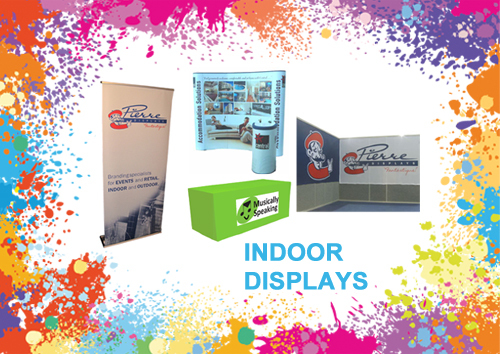 Pierre Displays have been supplying pull-up displays, banner displays, wall displays and tear-drop displays for small, medium and large businesses in Brisbane, Queensland and around Australia since 2001. Our range of indoor displays and outdoor displays is second to none. We do not compromise on quality, but can assure you that you will get a good deal, delivered in a timely manner and with a smile. When our clients are happy we are happy. Call us now to discuss Display options for your next event.